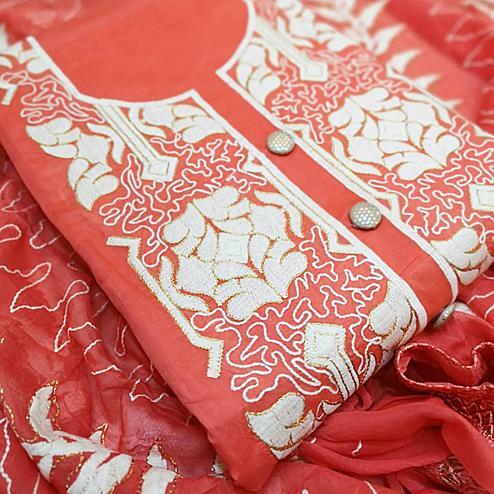 This black - red chanderi cotton dress material with floral design embroidered & lace work is a perfect addition to ethnic wardrobe. 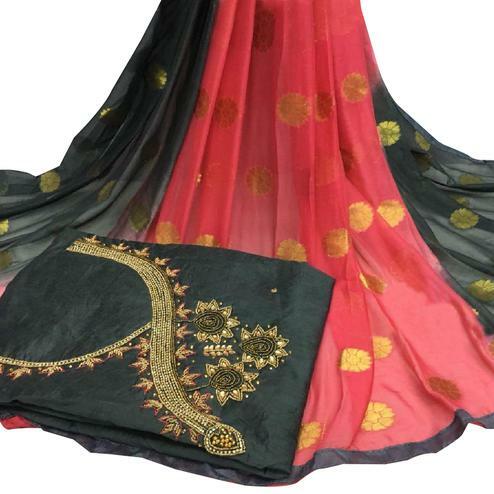 It comes along with matching cotton bottom & printed chiffon dupatta. 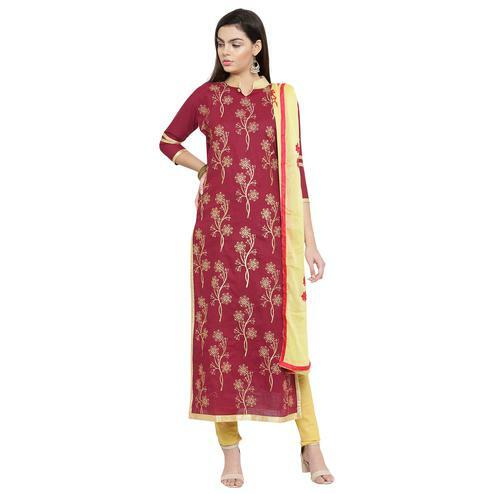 Once stitched you can wear this outfit for casual outing & weekend get together. Try this outfit to look stunning in your social circle.